Our Custom Printed Vertical Flags will make a stunning spectacle to make your brand stand out. 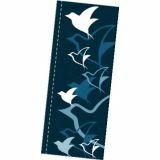 Customize these flags with your artwork, family crests, brand and message to impress your audience. Custom Vertical Flags are a great option to get your message noticed both indoors and outdoors because of their impressive heights that will grab easy attention.100% made in USA, these imprinted vertical flags are well suited as street displays, tradeshow displays and more. Shop from our collection of Custom Vertical Flags and avail the best prices, quick shipping and much more! 100% customer satisfaction guaranteed! Vertical flags stand out easily from the clutter around and can be used to attract walk-in traffic. Vibrant and attractive, CustomVerticalFlags can be set up atastore entrance or an event marquee to make everyone take note of your brand. These can be used to promote hotels, banks, apartment complexes and business events among others. 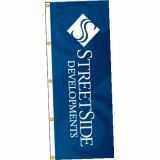 Tuff Flags offer a wide range of CustomVerticalFlags of various sizes. These are attractive way to display your brand and message or to announce upcoming events and much more. 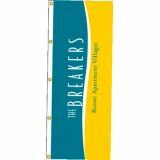 Made of heavy duty nylon and featuring reinforced design and fade resistant inks, these vertical flags will ensure a panoramic single-face reverse image of your advertisement. 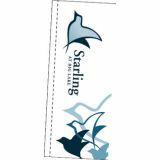 Customize these with your brand and message and see how these custom vertical flags will build up a buzz for your brand or event. Need help with the design? Our team of experts willhelp you get a perfect custom flag to match your needs. Browse our collection of Custom Vertical Flags to seethe best rates. Should you need any tips or shopping assistance, call us at our toll free number (888) 872-3524 or email us at customercare@tuffflags.com and we can assist you.